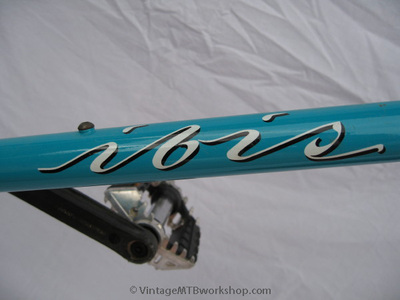 The founder of Ibis Cycles, Scot Nicol, was a big proponent of observed trials and technical riding back in the mid to late 80's. Team rider Andy Grayson introduced trials riding to American households with his on stage stunts on the Tonight Show with Johnny Carson. The Trials Comp was designed with a 24" front wheel to allow the front end to more easily roll over obstacles. 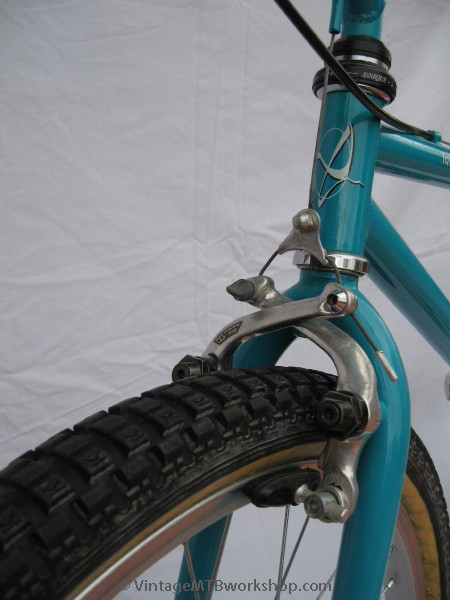 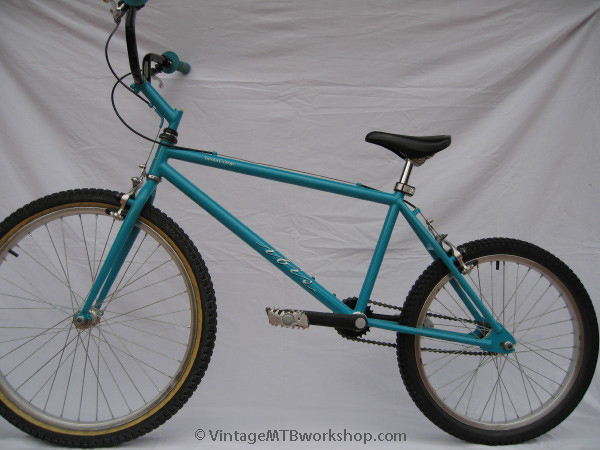 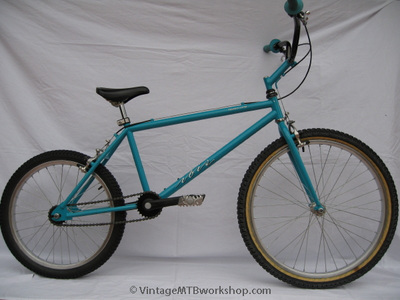 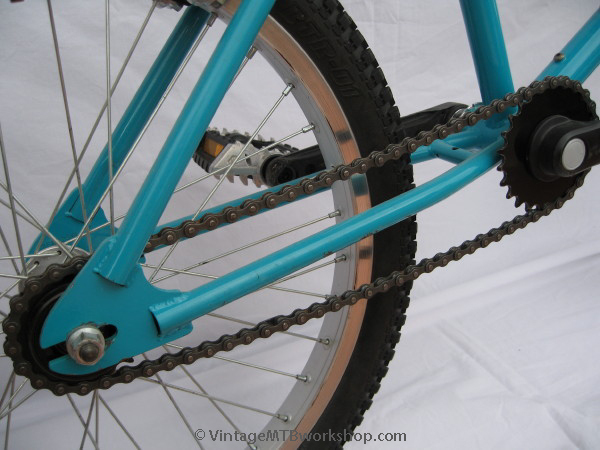 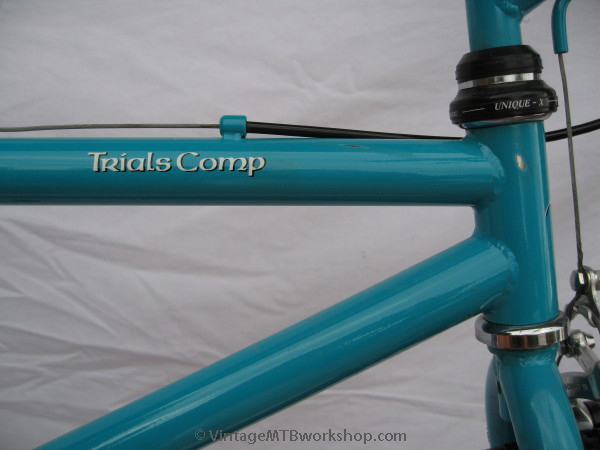 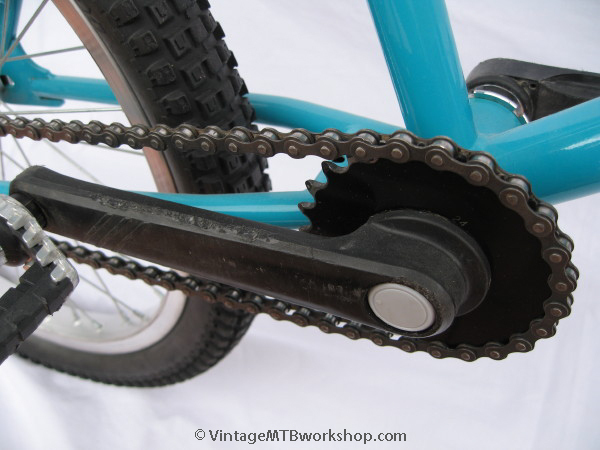 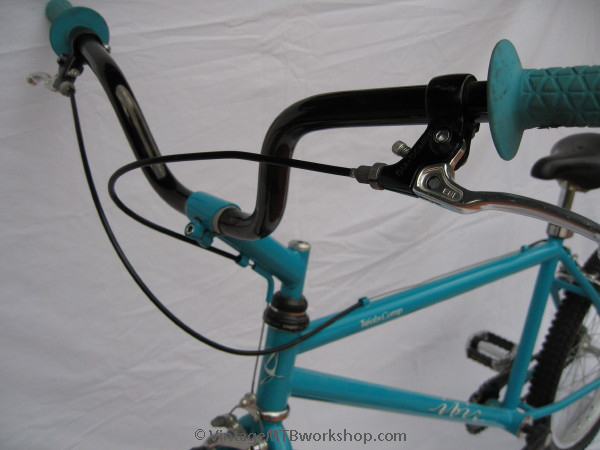 Later versions of the bike had a 20" front wheel and a magnesium bash plate that hugged the bottom bracket. 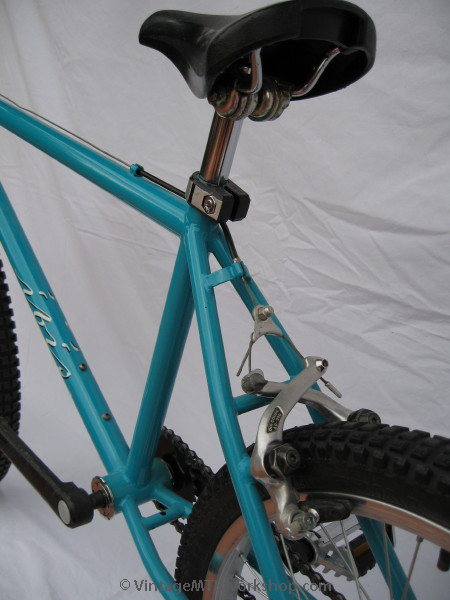 This example has the original build and saw light use. Rims: Araya 7X 24" / 20"